An iconic dress at almost half the cost? 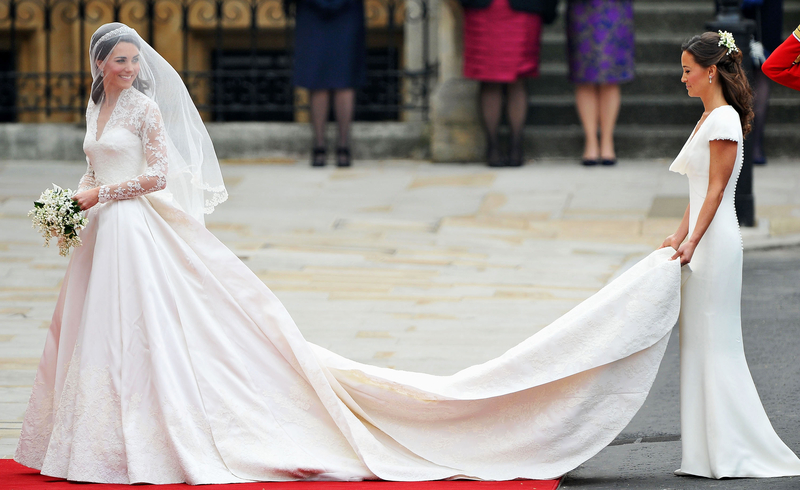 Pippa Middleton walked down the aisle at sister Kate Middleton&apos;s wedding to Prince William in April 2011 wearing a custom Alexander McQueen gown, and now a similar style and cut are on sale for 40 percent off! The original price of the matching dress was $2,565, but now Forward by Elyse Walker has it discounted to $1,539. Though there are some differences between the one for sale and the one worn by Middleton (which started the infamous talk about her derriere), both Alexander McQueen frocks are very similar. The Duchess of Cambridge&apos;s younger sister&apos;s white gown featured floral accents on the neckline and sleeve as well as a more drastic cowl plunge. The online version, not hand-sewn like Middleton&apos;s, is sleeveless with a sleeker silhouette that doesn&apos;t have as many frills. 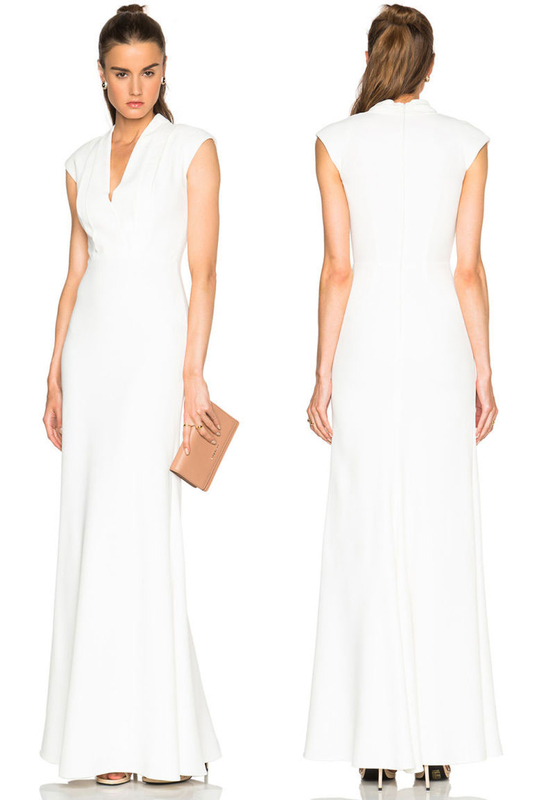 And while Middleton&apos;s couture version featured covered buttons down the back, this dress has a convenient zipper. For her part, the Celebrate author has downplayed the importance of her royal wedding look. "It was completely unexpected," she told the Today show&apos;s Matt Lauer of the reaction to her gown in 2014. "You know, I think the plan was not really for it to be a significant dress. Really just to sort of blend in with the train. I suppose [the reaction was] flattering. … It&apos;s actually still in my wardrobe at home. I haven&apos;t worn it since."